Being wet and dry numerous times during the first day of her life does not seem to make this newborn filly uncomfortable. Rain in mid-May is unusual in this area and at this point too late to boost the grass, but a welcome softening of the already crunchy ground is welcome. This filly and mare have very similar markings and both have a very Indian Pony look to them so I’m thinking a classic Native American name could be appropriate. 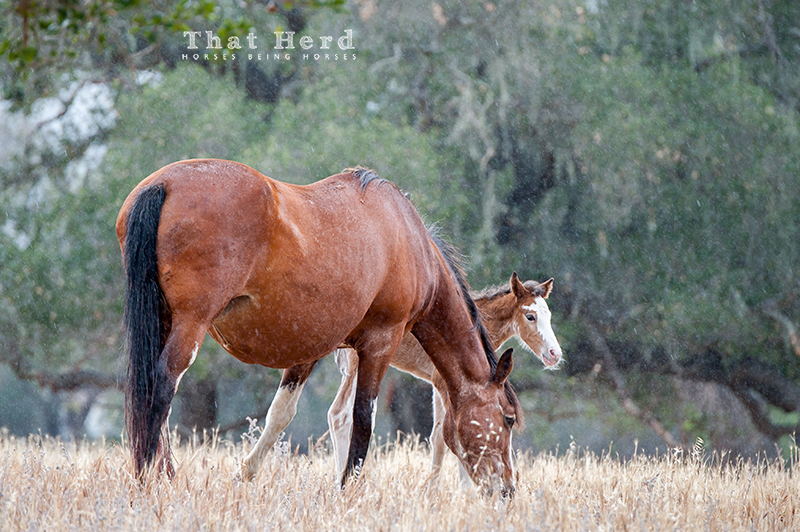 Mid-May rain falls on a newborn filly and her mother.